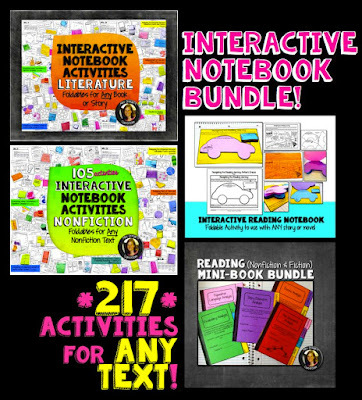 When I first heard someone mention interactive notebooks, I thought they meant "interactive" as in digital interaction between peers. But I was completely wrong. 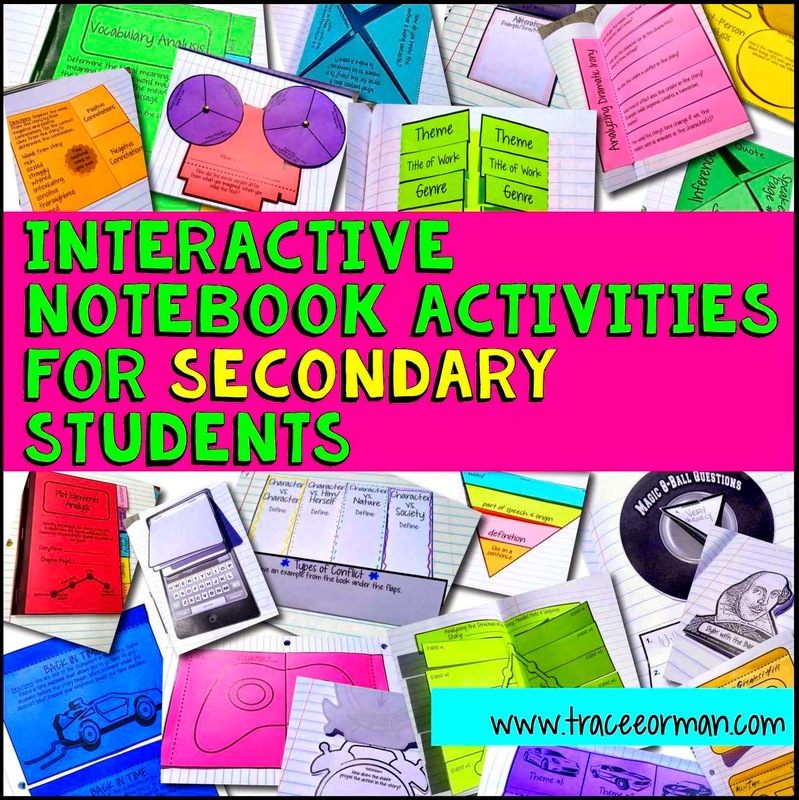 "Interactive," as in "interactive notebook," refers to a student's collection of notes and graphics. 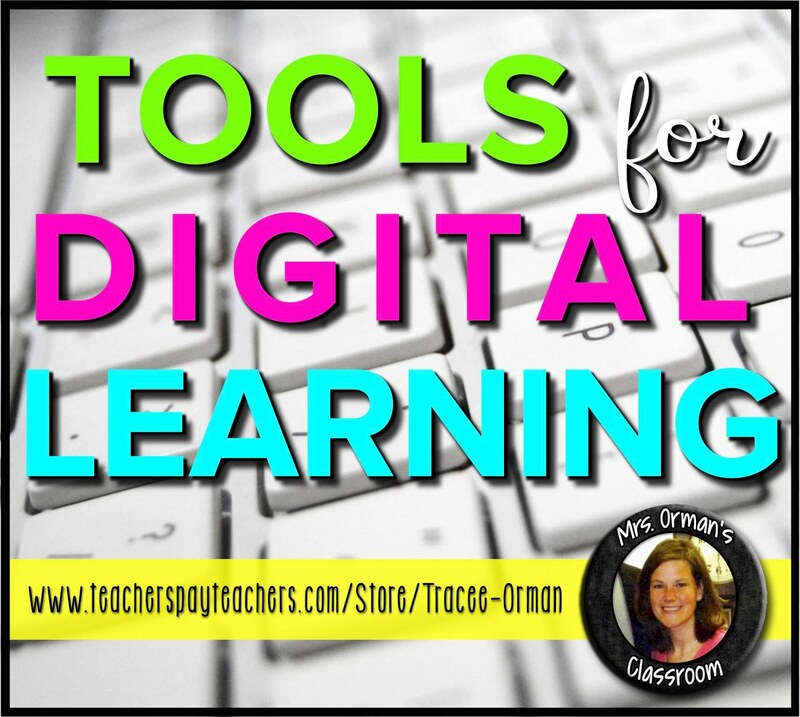 They are personal tools for students to process ideas and concepts. The "interaction" part is the student interacting with the notes (rather than with other students). The more students interact with the information (have multiple senses connected with it), the more they can retain knowledge. This makes sense to me because even though I love technology and would never want my students to be without access to their laptops, I still firmly believe writing with a pencil and reading a physical paper book helps my students remember and connect more deeply with the text. My bundle includes all of the following original products from my store. 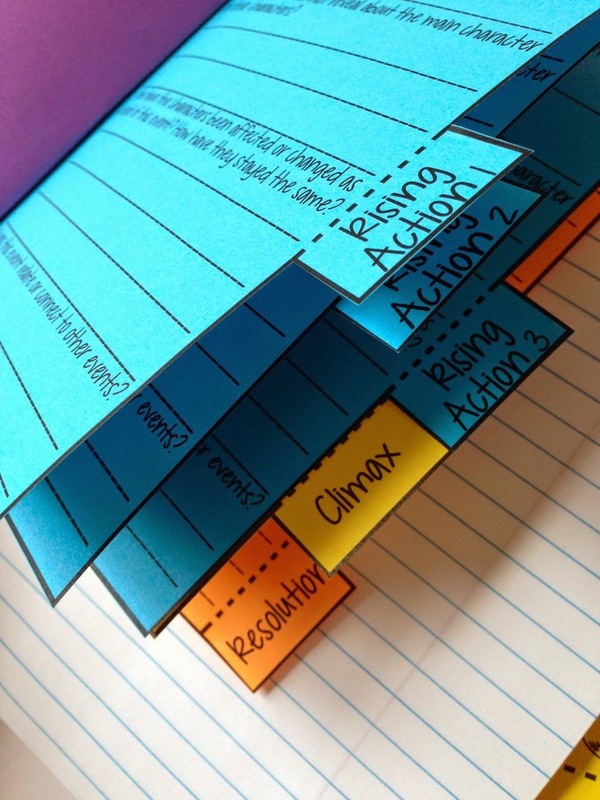 The books (Theme, Plot, Story Elements, Vocabulary, and Figurative Language Analysis) practice the following literature standards for grades 6-12: CCSS.ELA-LITERACY.CCRA.R.1, CCSS.ELA-LITERACY.CCRA.R.3, CCSS.ELA-LITERACY.CCRA.R.4, CCSS.ELA-LITERACY.CCRA.R.5, and CCSS.ELA-LITERACY.CCRA.R.6. They also cover these reading informational standards and language standards: CCSS.ELA-LITERACY.CCRA.R.1, CCSS.ELA-LITERACY.CCRA.R.4, and CCSS.ELA-LITERACY.CCRA.R.5; CCSS.ELA-LITERACY.CCRA.L.4, and CCSS.ELA-LITERACY.CCRA.L.5. 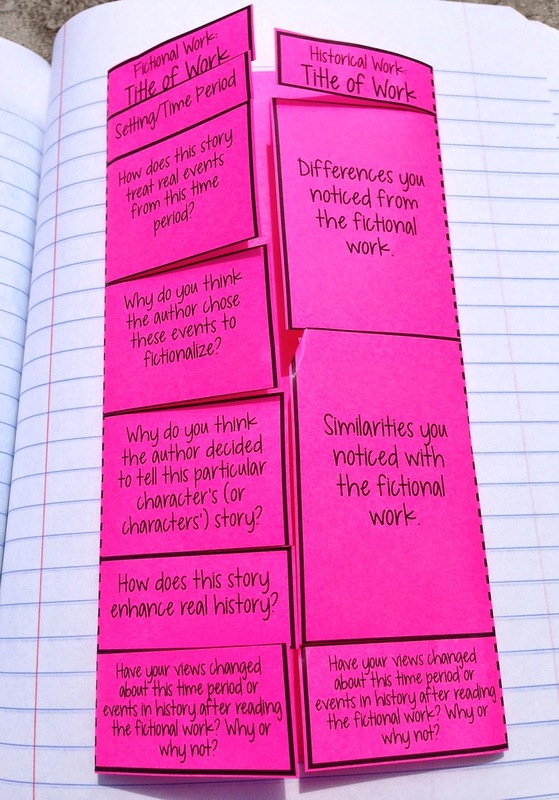 These are handy for using with individual stories and novels. 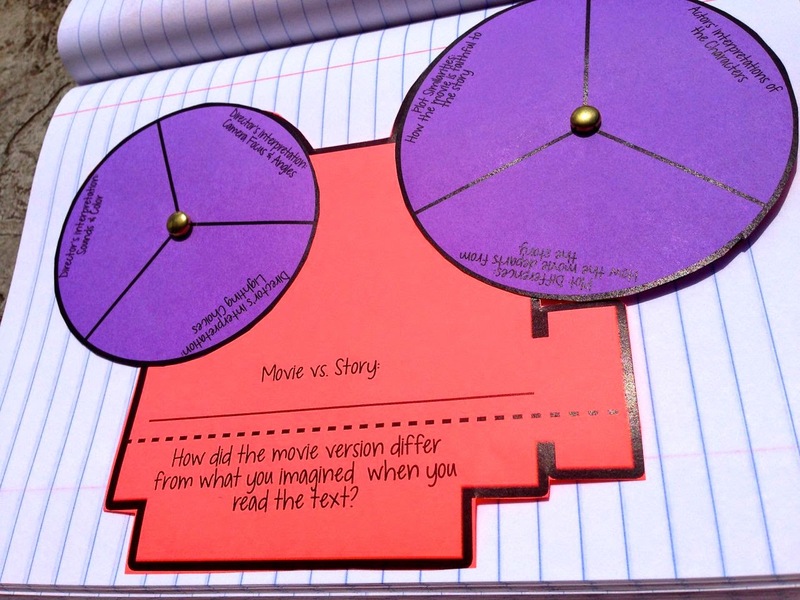 Students can easily refer back to them later and compare two texts with one another. 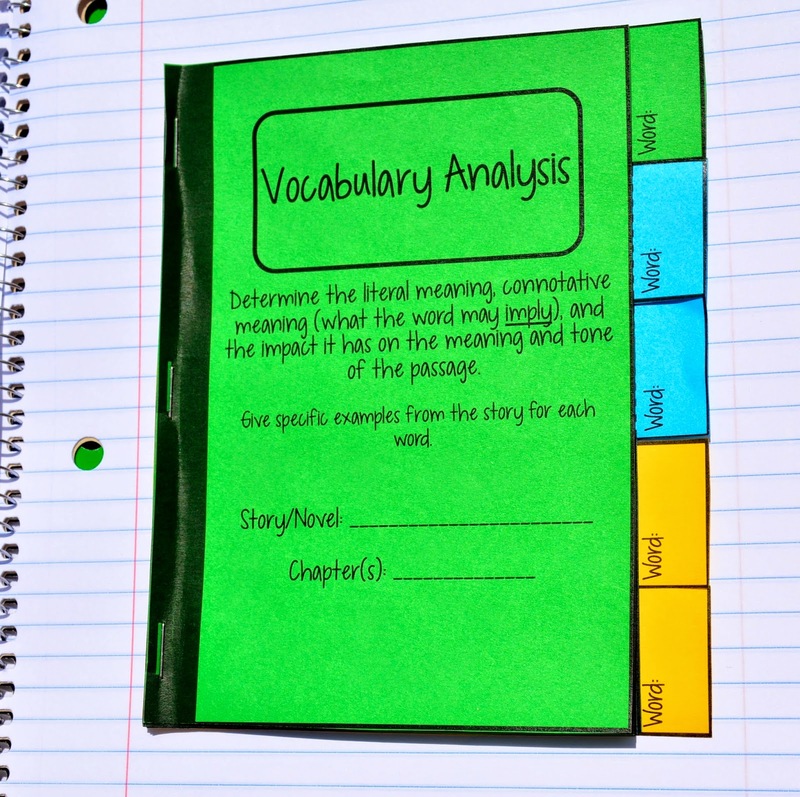 They are perfect for using as a source when writing a literary analysis paper or compare/contrast paper. The wording/language used is targeted toward secondary students. Plus, they are easy to put together: no glue is needed. 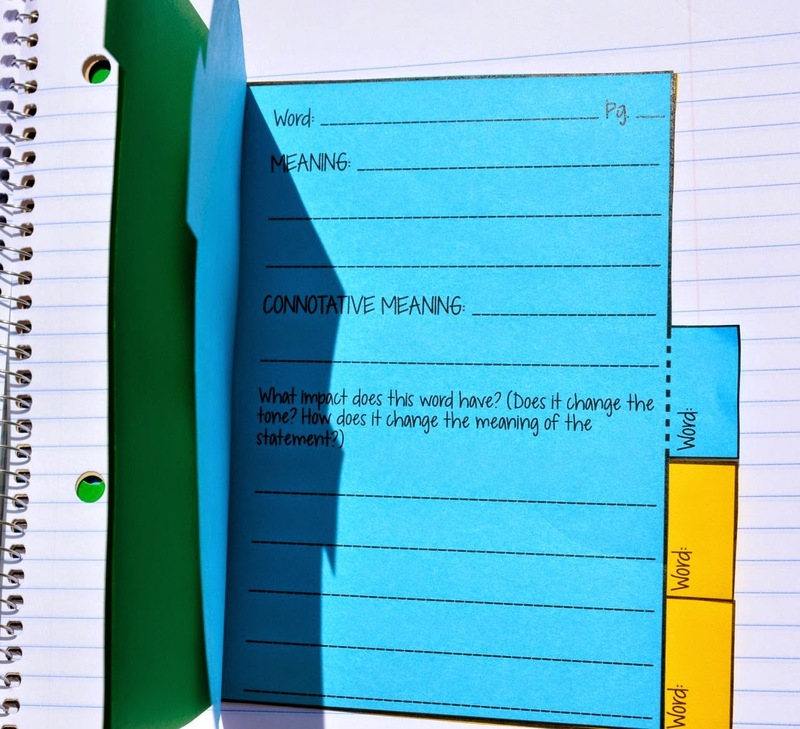 Students can just assemble the pages and staple them. 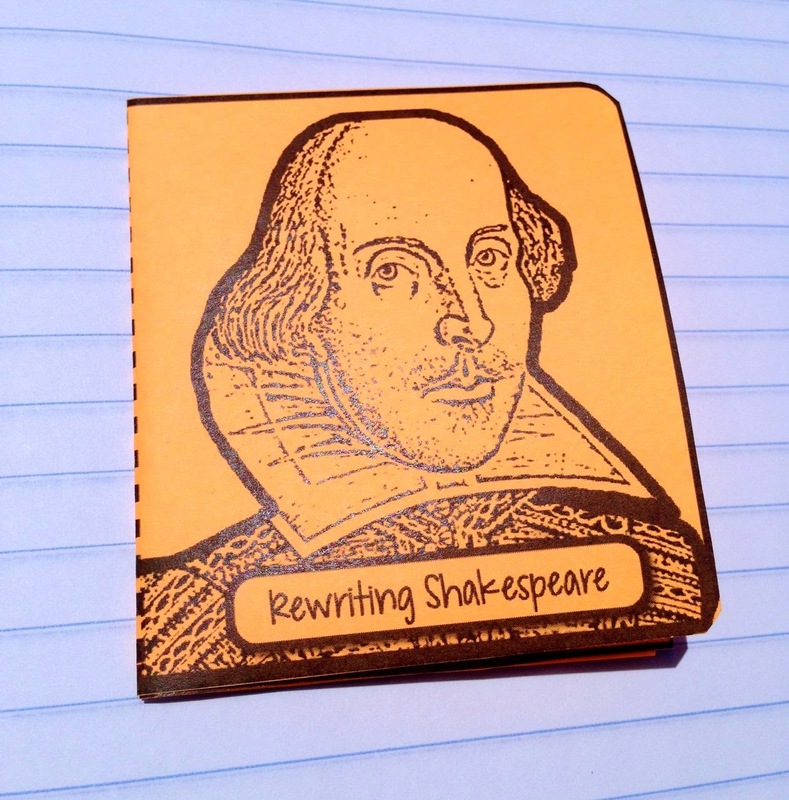 They can be affixed inside an existing notebook or not. 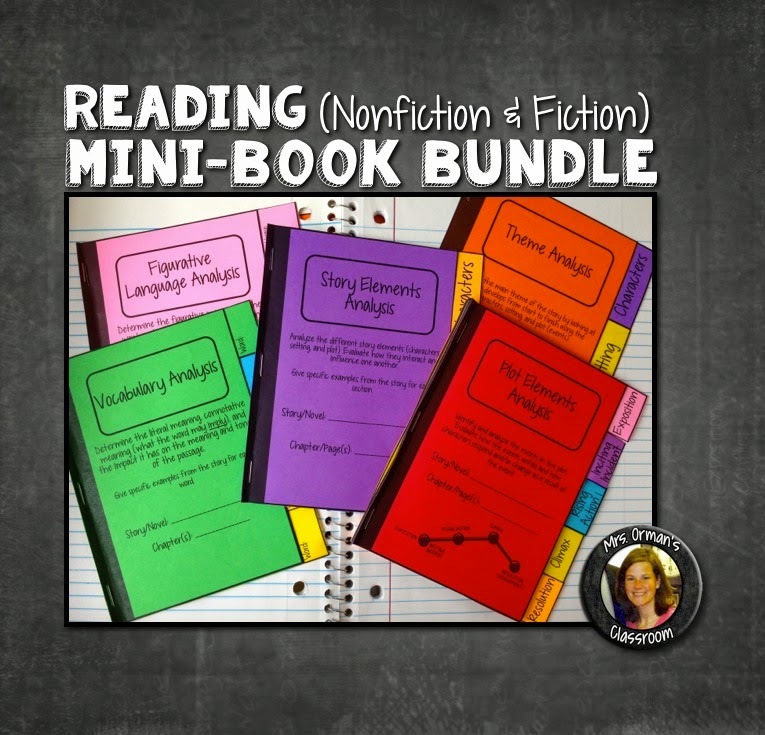 I also created a bundle of literature resources to cover all of the 6-12 Common Core State Standards (CCSS) for reading. Even if your state does not use the CCSS, you can still utilize these resources. The skills practiced still involve essential reading and critical-thinking skills. 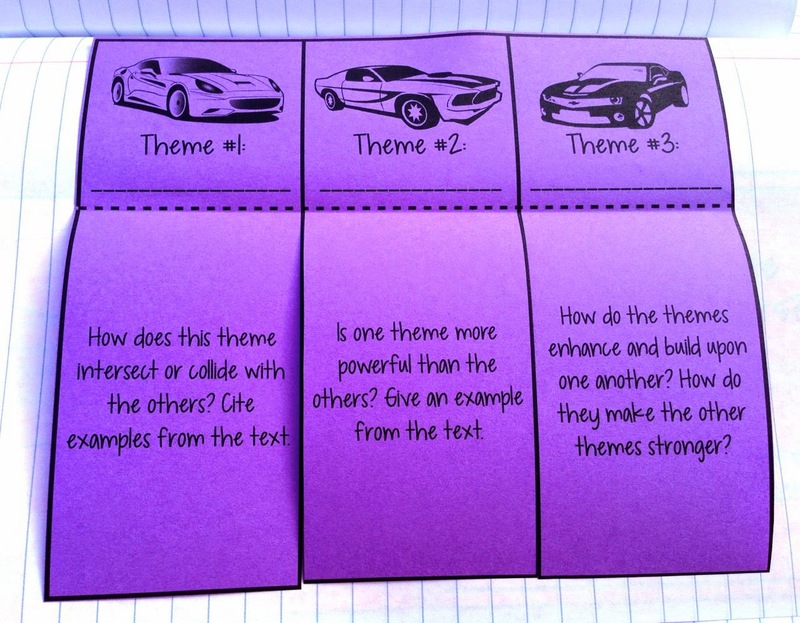 I separated the foldables by standards, but they are not labeled on the templates themselves. It includes over 90 different activities, which are scaffolded for introducing skills and differentiated for progressing into more advanced skills. 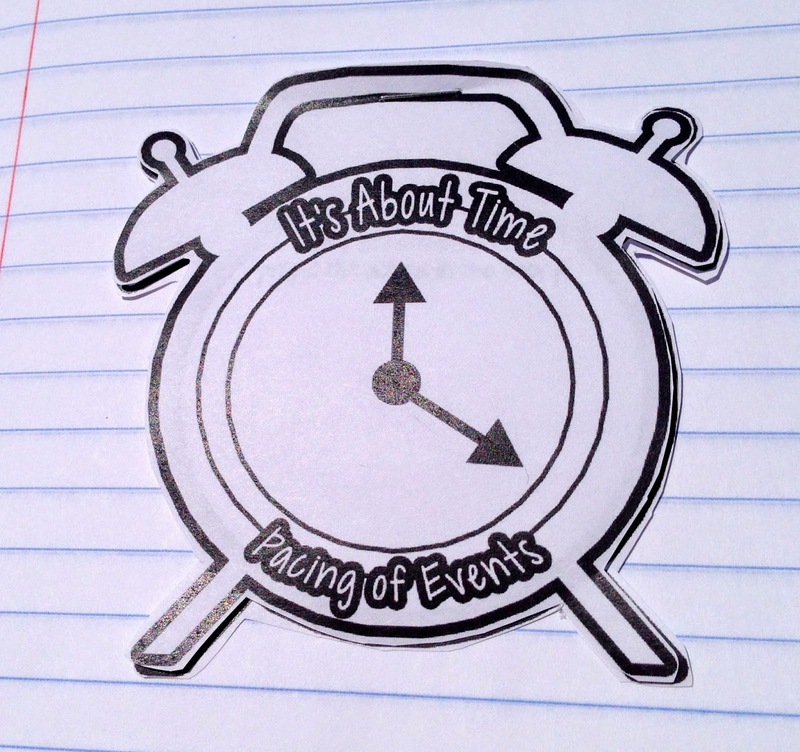 One of the more difficult activities for my students over the past few years has been analyzing an event to see how it provokes a decision, propels the action, and reveals aspects of a character. I'm not sure why they struggle so much with this skill (reading standard 3), but breaking down single events and dialogue will help. 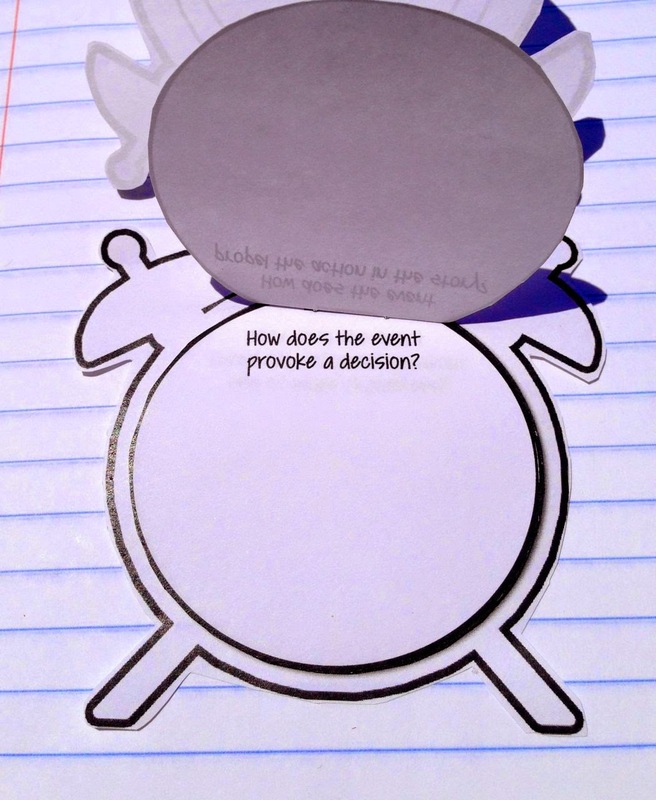 The foldable above has students write each response on a clock face, then stack on top of each other and staple for a complete analysis of an event (below). 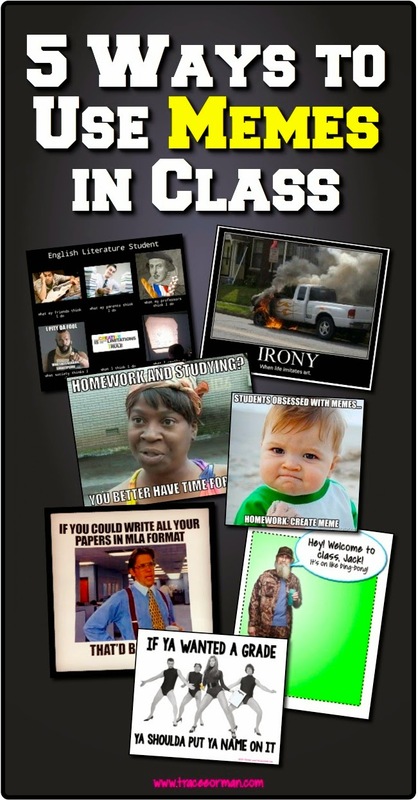 Secondary students may also appreciate graphics they can relate to. 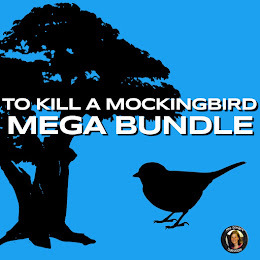 A secondary interactive bundle would not be complete without the Bard, right!? If you download the preview to my package, you'll get two free templates from the bundle. 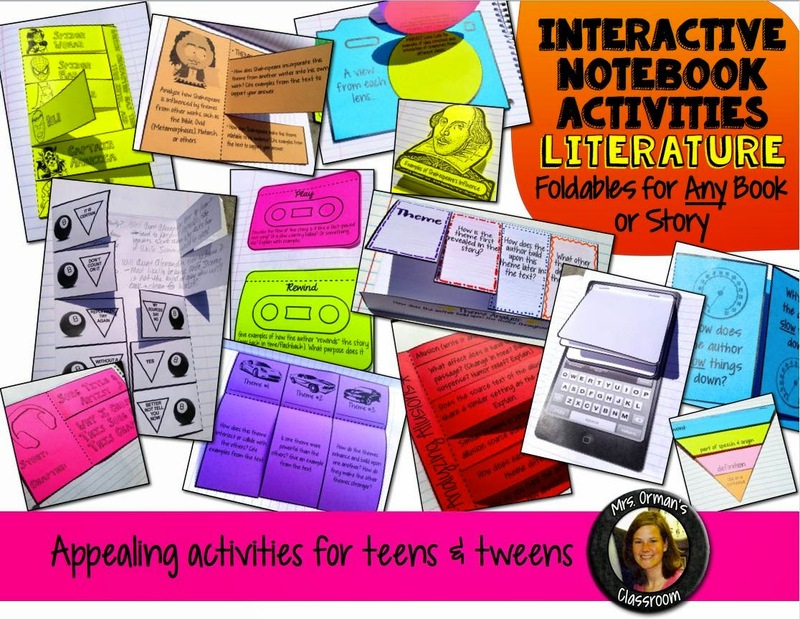 Comment below with your experience using interactive notebooks in your classroom. 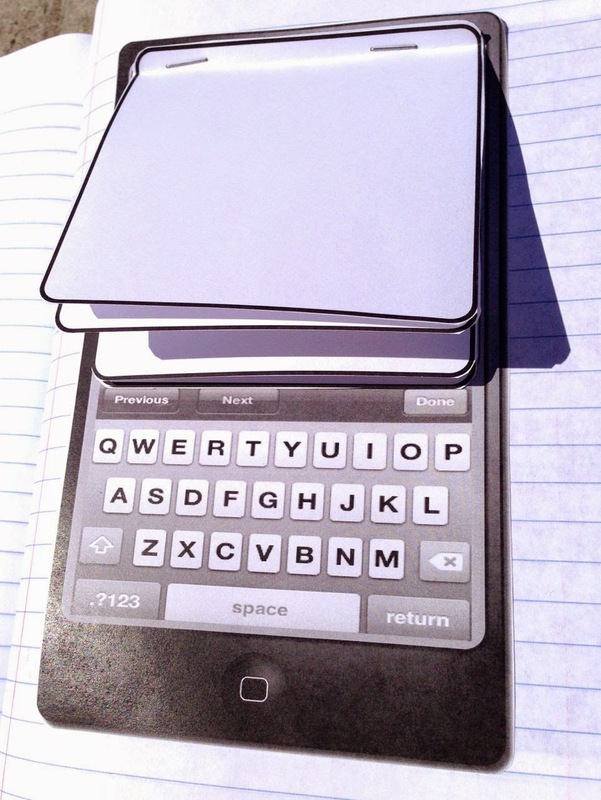 • What kind of notebooks do you use (spiral vs. composition)? 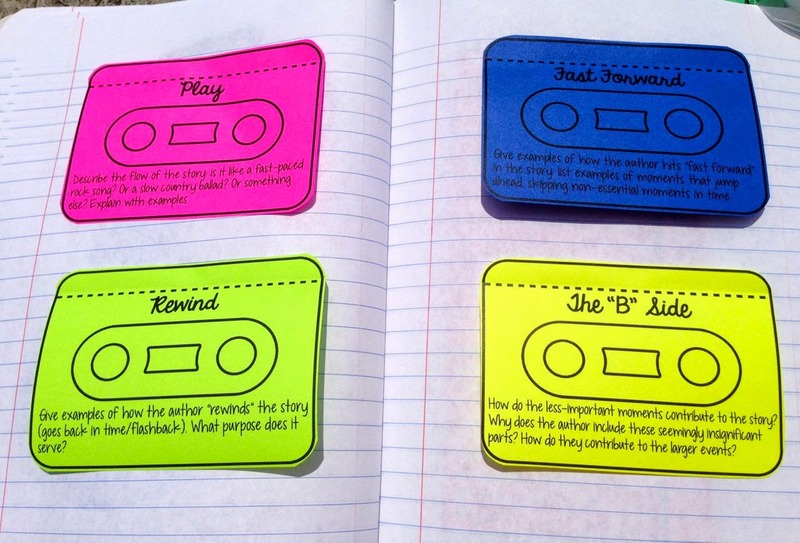 • How often do you use them with your students? 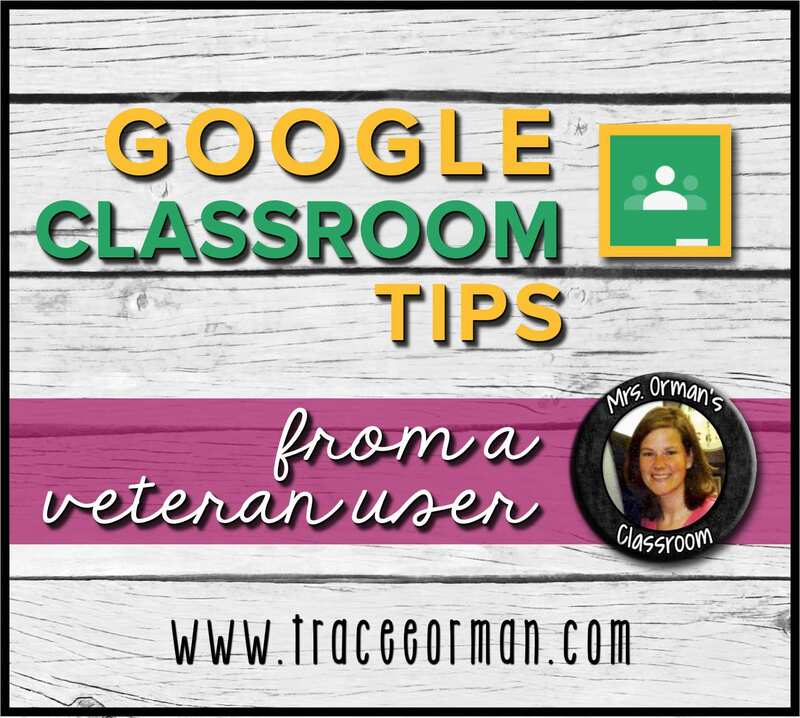 • Do you have any tips for teachers starting out?